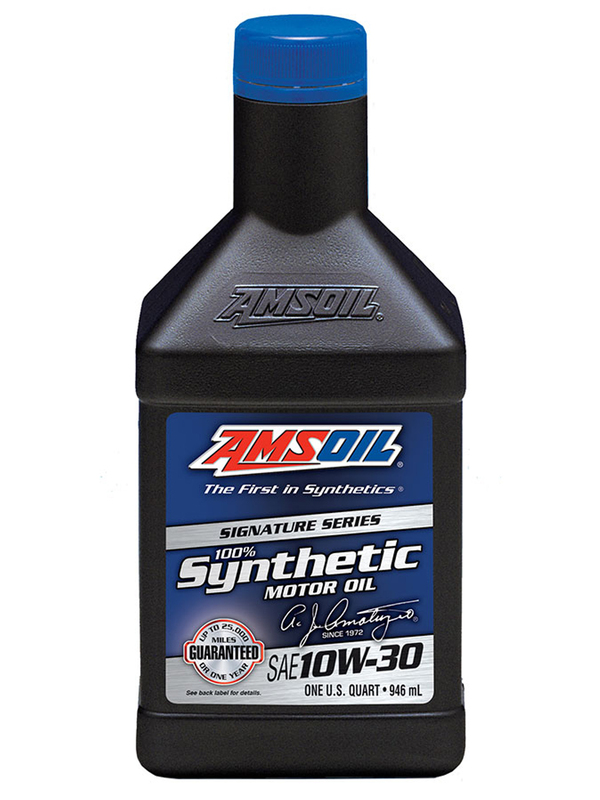 AMSOIL Signature Series Synthetic Motor Oil is engineered to outperform conventional and synthetic motor oils. It combines industry-premier synthetic technology with AMSOIL premium additives in a unique formulation that exceeds the higher performance demands of modern engines. Signature Series delivers the performance and value upon which the AMSOIL reputation is built. The culmination of more than 40 years of expertise, its exclusive formulation raises the bar for motor oil performance. AMSOIL, the leader in automotive synthetic lubrication, produced the world's first API-qualified synthetic motor oil in 1972. Trust the extensive experience of AMSOIL, the First in Synthetics®, to do the best job protecting your engine.